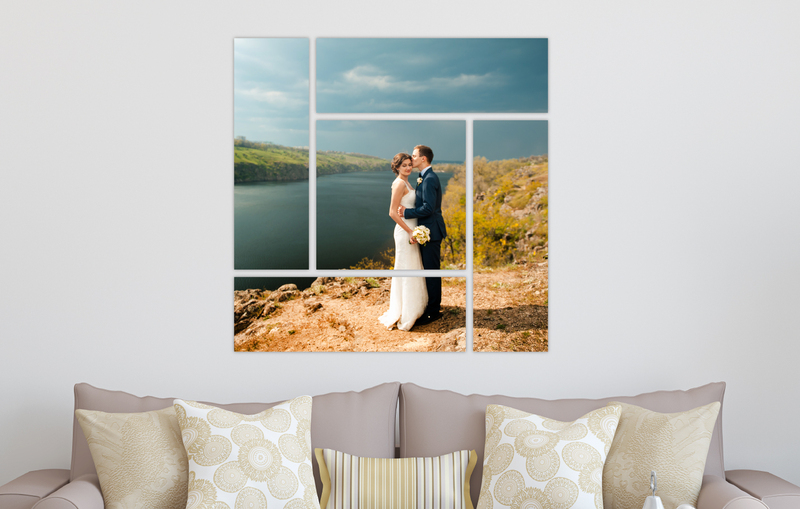 With Split Image & Cluster Canvas Wraps, you print photos on several canvases to create amazing wall art. 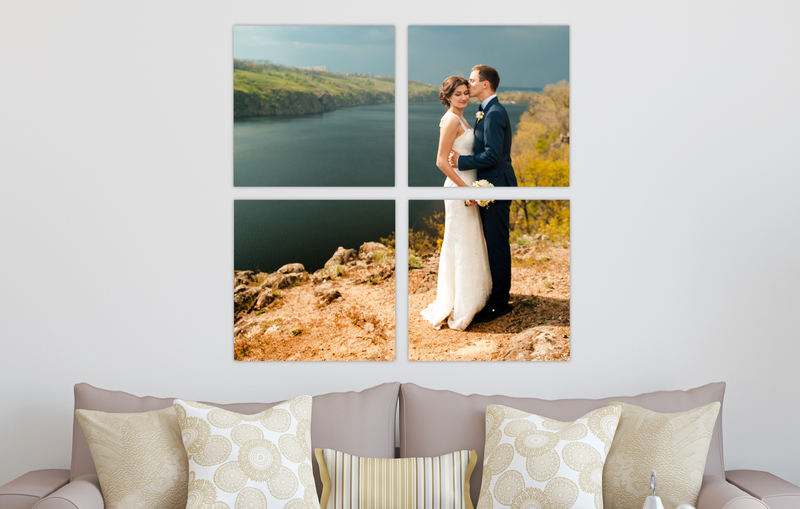 With Split Image Canvas Wraps, we divide a single image over multiple panels for an impactful display. 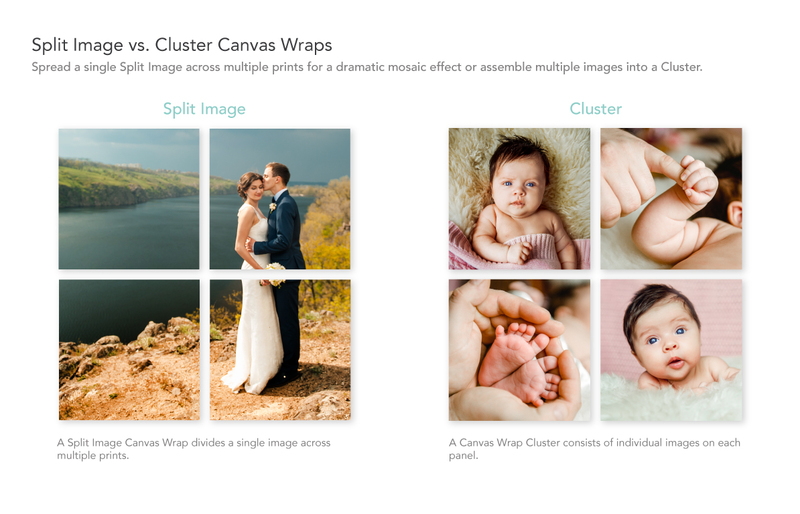 With Canvas Gallery Wrap Clusters, a grouping saves you 20% on the cost of buying the same wraps individually. 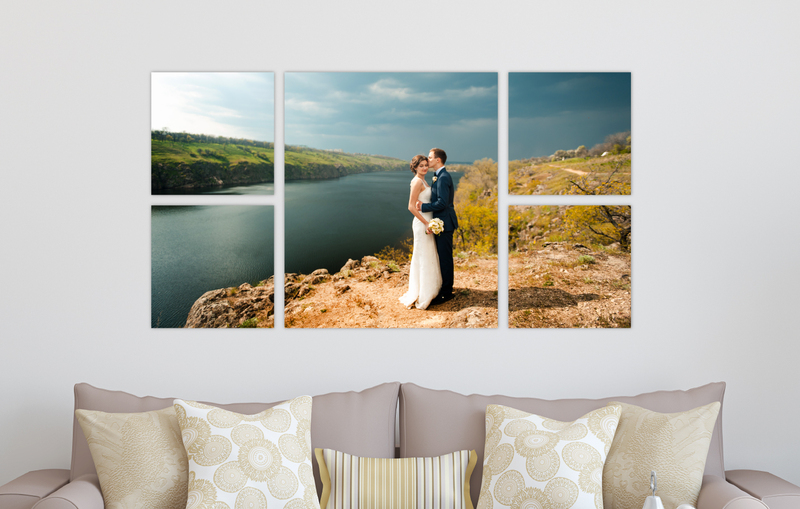 Your image is printed directly on heavyweight canvas, then sleekly stretched around wooden frames that are 1 ½" thick. 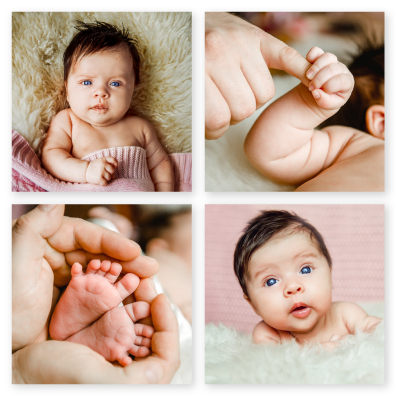 Using archival inks, premium canvas and large-format inkjet printers, you can expect rich color and longevity from these canvas prints. 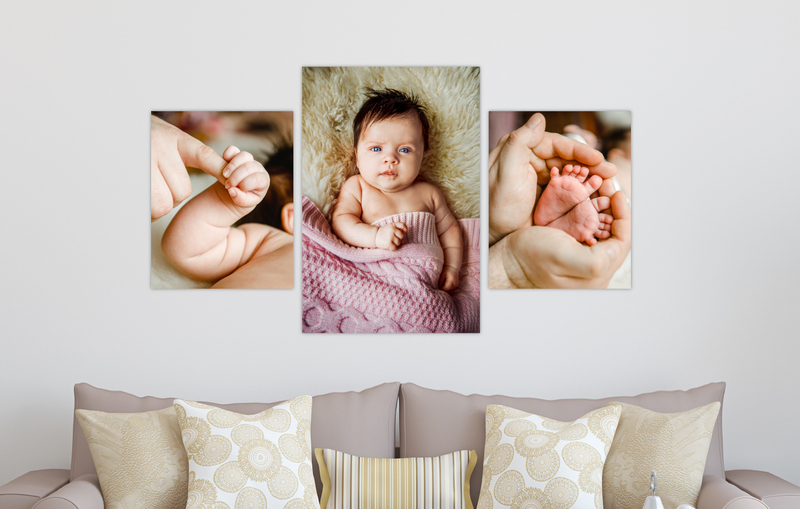 Choose Glossy or Lustre Laminate for added protection and several mounting options for easy hanging. Production turnaround time is 2-3 business days. Add 1-2 days for finishing & mounting. 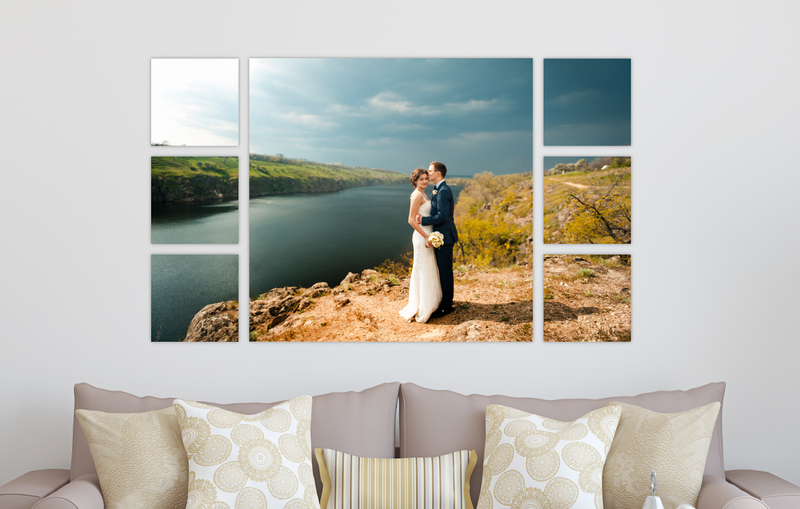 A Split Image Canvas Gallery Wrap divides a single image across multiple prints. 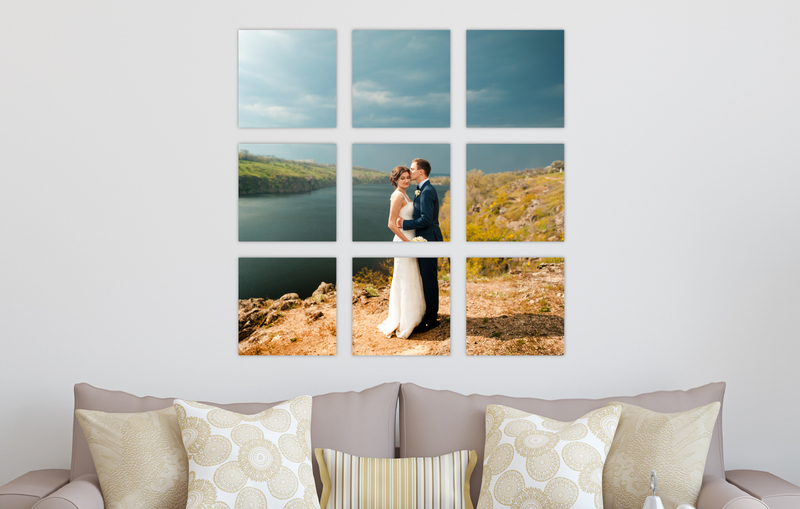 A Canvas Gallery Wrap Cluster consists of individual images on each panel. 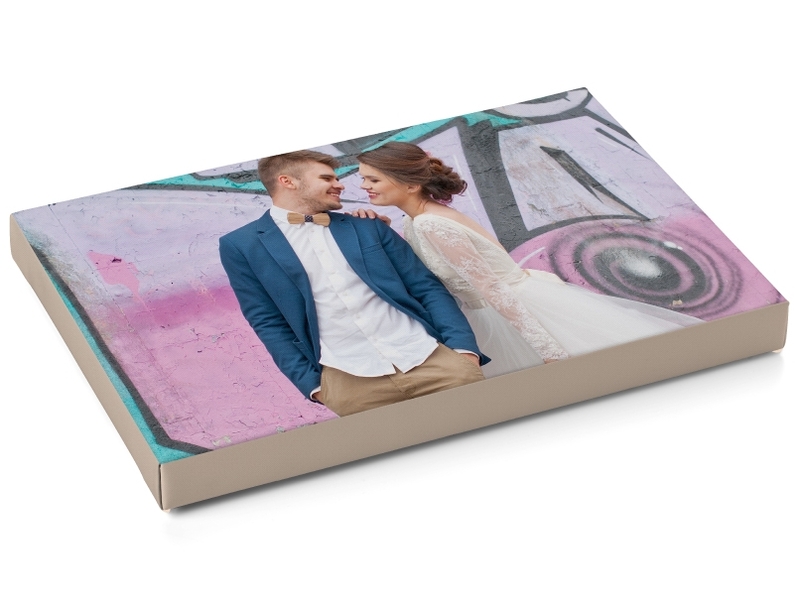 Wrap your entire image around the 1 ½" thick sides of your Canvas Wrap for a seamless visual flow from front to all sides. To wrap the sides with a solid color, order from BRI ROES. 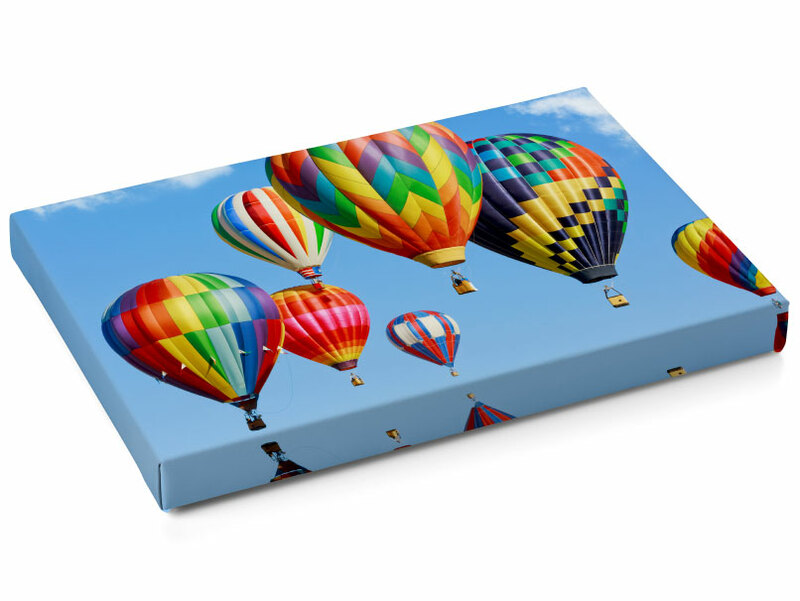 Choose from several Border Wrap Colors for the 1 ½" thick sides of your Canvas Gallery Wrap. 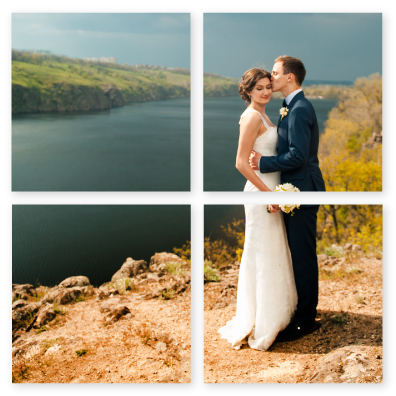 If you order on the website, you can create your own custom border using your design software like Photoshop or Illustrator, then upload your file. 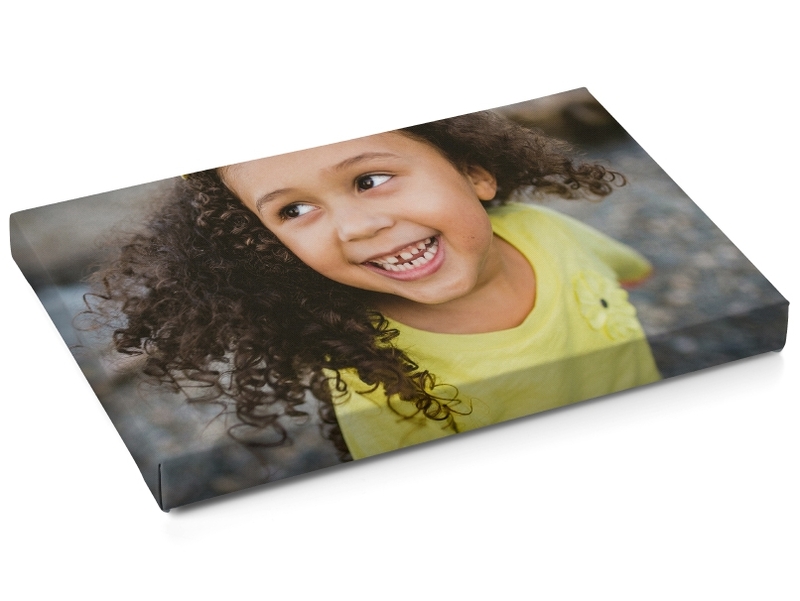 Select a Mirrored Edge option and we will apply this effect in-lab, reflecting your image along the 1 ½" thick sides of your Canvas Wrap. Available in BRI ROES only. 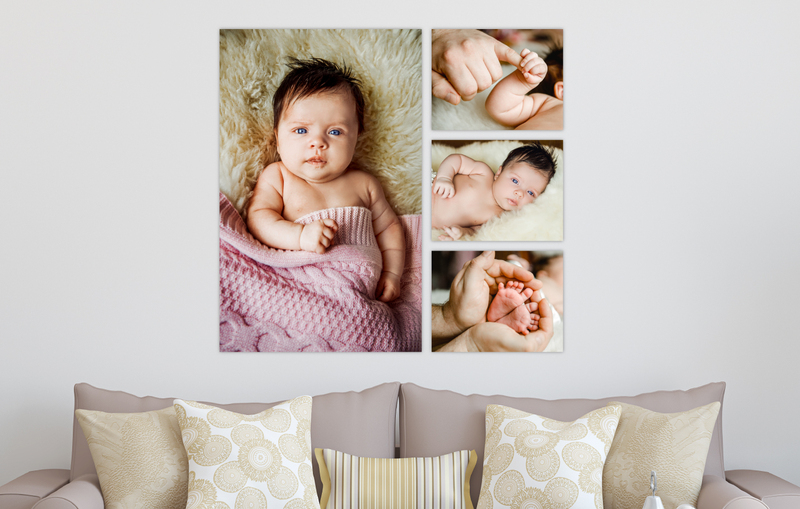 $10 per Canvas Gallery Wrap. 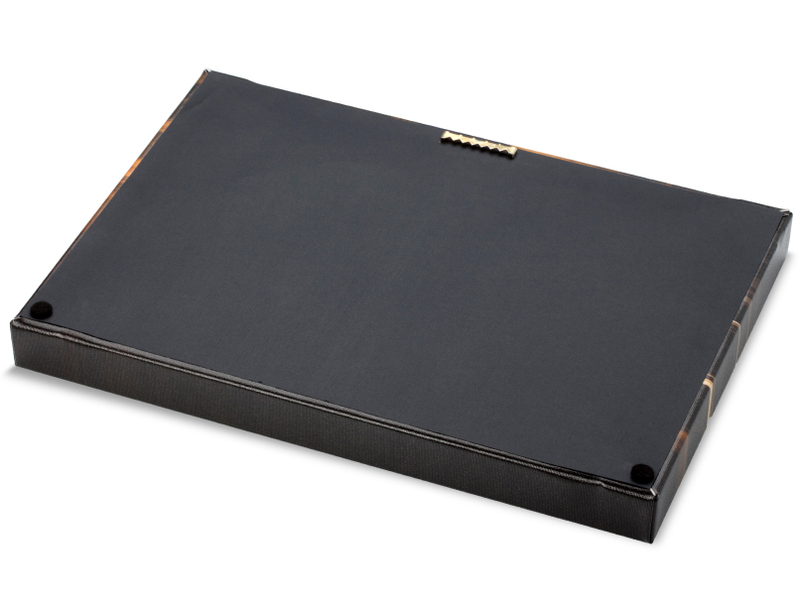 The default mounting for Canvas Wraps includes Black Paper Backing, Black Bumpers and a Sawtooth Hanger for easy hanging. 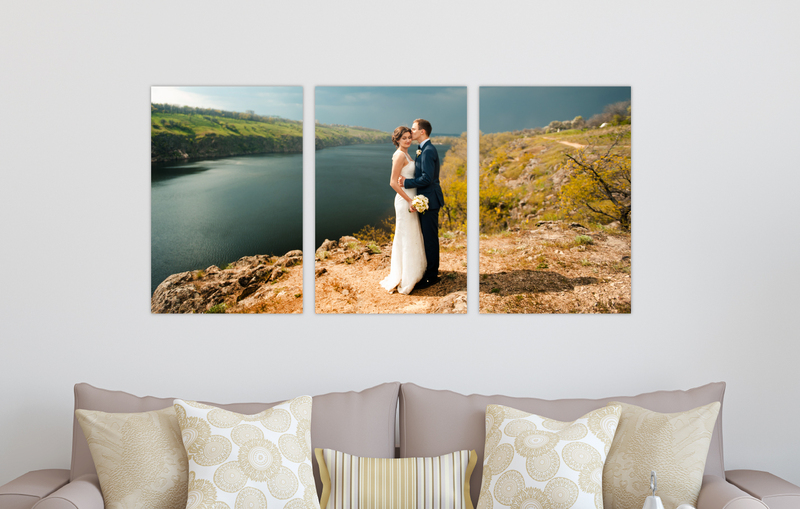 Your Canvas Wrap will sit flush against the wall. Nail not provided. Opt for a Wire Hanger when an exhibit installation is needed. The top of the Canvas Wrap will hang slightly away from the wall. Includes Black Bumpers, but No Paper Backing. You may also choose No Hanger. 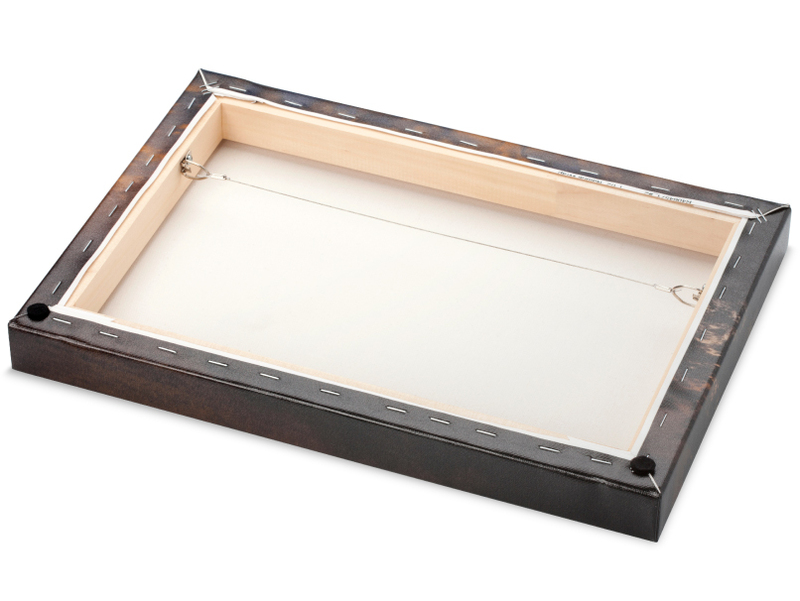 This simple option has No Bumpers and No Paper Backing.